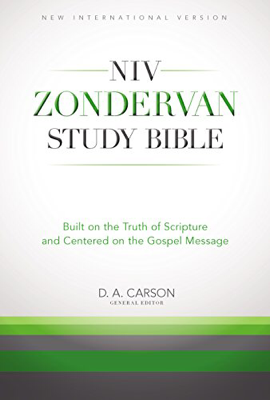 My good friend Noel has been recommending me this new NIV Zondervan Study Bible edited by DA Carson. I have tried the electronic trial version in my Tecarta bible app for three days but at $24.99, I thought I'd give it a pass for the time being. I found out today that it was on sale in Kindle Amazon and bought a copy at only $4.99. It is good to save so much but it is challenging to use it in the Kindle version. I am not sure if I can get used to it. books and chapters quite easily and the commentary section appears alongside with the verses. The Kindle version is much more challenging because I can only get to the book via its content page, and then flip through the introduction section before clicking on the link in the list of chapters in the books. To get to the commentary section, I would need to tap on the number of the verse and then tap on the back button to go back to the verse. In this scenario, a print version would serve me so much better. I don't think I said one is better than the other ;) as I have always said, I'm still in love with printed books but found a new love in the electronic version. For about ten years I have enjoyed the OliveTree bible app on my tablet and phone. Over the years that have given me just about every major bible translation. I did try out Olive Tree but found the bibles and the books they sell on the high side. And I got more books in Logos and thought I'd stick to it. But I tried using the Tecarta app and liked its features a lot - the two column synchronized scrolling and a lot more freedom in highlighting and keeping notes. Thanks for the feedback Pearlie. If not for the all of free bibles I have got from Olive Tree (I think that I only bought one when it was on sale for $5) I may have gone with Tecarta. Ah...good that you got free bibles and it'd be better to stick with what you are used to. Olive Tree is a good app.